The first Population Census in the world. Statistical Economics, Mathematical Economics. The factoring in of Moral Hazard, the question of Ethics, acknowledging the fact that economics is about people. Including Systemic Risk into accounting for costs and profits and alleviating poverty.These are some of Kautilya’s observations some 2,500 years ago. They are all valid today, for the modern world. According to Abraham Seidenberg (1962), mathematics originated in India earlier than Babylonia, Egypt or Greece. Sidney Weintraub argues that the image of economics in the western world changed as the image of mathematics changed but without realising that the image of mathematics in the west might have changed with the change in the theology/philosophy of the church. CK Raju points out that theology or philosophy did not change constantly in the Indian subcontinent. Mathematical measurements are pre-Vedic here, beginning with the early Indus Valley inhabitants which have continued through generations. Kautilya was the first economist who established economics as a separate discipline, developed a score of concepts and understood economy as a system with its inter-linked elements. Kautilya’s Arthashastra contains two parts: the exchange theory and the conflict theory but both use mathematics to enhance clarity of expression and statistical analysis for arriving at the best possible policy-decisions under risky situations and evaluations afterwards. 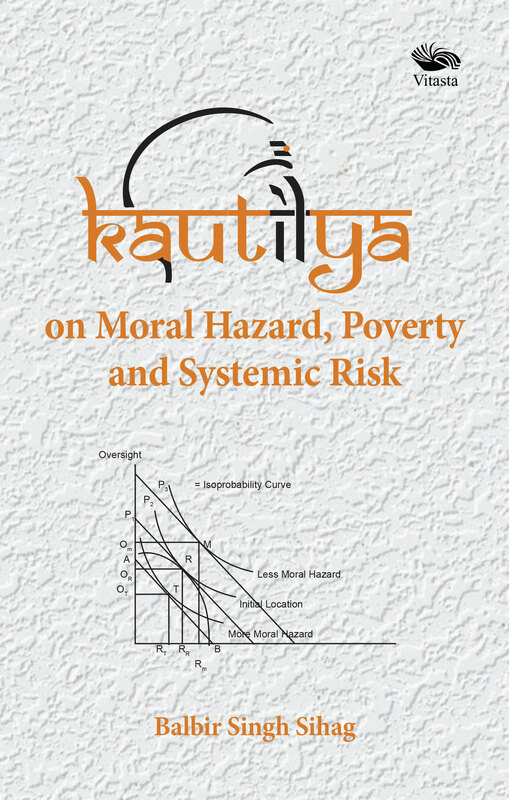 This book argues why Kautilya is relevant to modern-day policy-makers and why Ethics should be a part of the Indian education content. Balbir S Sihag is a Professor of Economics. He received a Master’s degree in Economics from Panjab University, Chandigarh. He was awarded an UGC scholarship and was Merit selected to the Indian Economic Service. He received PhD in Economics from Massachusetts Institute of Technology (MIT) and was Professor of Economics at University of Massachusetts for twenty two years and is now Professor Emeritus of Economics. He is the author of the book, Kautilya: The True Founder of Economics and 31 research articles on Kautilya’s various contributions to economics.